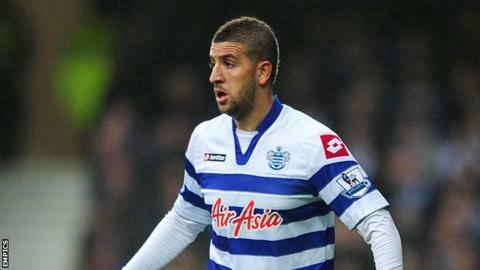 Queens Park Rangers midfielder Adel Taarabt has signed for Fulham on a season-long loan. The Morocco international, 24, told QPR he wanted to remain in the Premier League after the club's relegation. Taarabt said: "This was a difficult decision for me, but at this stage of my career I feel I need to be playing at the top level. "I hope the fans understand my decision and I really hope to return to Loftus Road one day." QPR said a loan deal "suited both parties". Fulham manager Martin Jol was Tottenham boss when Spurs signed Taarabt as a teenager from French side Lens in 2007. Taarabt made 150 league appearances for the Loftus Road club after joining them, initially on loan, in March 2009. The move was made permanent in August 2010 and he was named Championship player of the year in 2010-11 on the way to helping Rangers win promotion to the top flight. He played 31 times in the Premier League last season, scoring five goals, as QPR finished bottom of the table.